What a marvellous question. 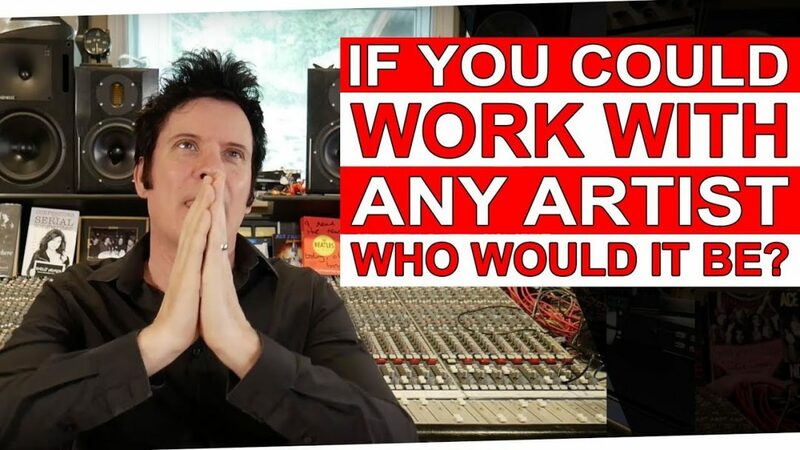 I’ve asked this question to friends of mine who are producers, mixers, engineers, songwriters, musicians, etc. I love when people ask who would you work with (they can be dead or alive). Those of you who follow me know exactly who I would work with if it was Alive or Dead… Queen! I would of loved to have worked with Freddie Mercury! Who wouldn’t? I would have also loved to have worked with David Bowie! The list there is endless. Now, let’s move into the present. Radiohead would probably be on the top of the list for any rock producer/engineer/mixer- All of us would like to work with Radiohead! They’re incredibly creative and would be right at the top of my list. Alongside them would definitely be MUSE. There are a couple of bands that have been around a few years that I think you should check out if you’re a rock fan. The band I’m working with at the moment The Matthews are really big fans of Bring Me The Horizon. I was actually really blown away with their latest album “That’s The Spirit” because it’s a rock album (rock singing, harmonies, great guitar parts) but also a lot of incredible programming. To be honest, I’d like to work with a band like that! I answer your of the following questions in the video below! • I’d like to know is there a particular band/artist you really want to work with (that you haven’t yet of course)? • Do you use a stereo imager to separate your frequencies in a mix? Is a stereo imager more for the master phase? • Do you have a twin brother? That’s the only explanation for how you get everything done in a day! • Do you actually tend to activate a low cut and use EQ and compression while you tracking vocals? If so, what is you first approach? Do you use the EQ pre or post compressor? • Have you used the Waves BassRider? If so what do you think of it as an alternative to MV2 compression on the sub? • Is there anything else other than EQ, de-essing and passing to get rid of harshness? • Can you make more series about Mix Breakdown?